My good buddy Rick Lohm will be tattooing at the Philadelphia Tattoo Arts Convention next year, February 8-10th. I’m hoping to grab some time with him while he’s in town, since getting a Rick Lohm tattoo is a good thing to do. If you’d like to make an appointment to get tattooed at the convention, contact him via ricktattoos@gmail.com for availability. That means it’s almost time for the Richmond Tattoo Arts Festival. I went last year- it was a stellar lineup of world class tattooers and really light on the BS celebrity culture/roaming pitbull shenanigans of other East Coast conventions. One of the artists attending this year is our friend Rick Lohm of HALO in Syracuse, NY. Rick is a super solid guy who does super solid tattoos- can’t really ask for much more than that these days. If I were going this year I’d be booking some time with Rick, but since I can’t… grab a few hours with him. Get a kickass tattoo. It’ll make you happy! 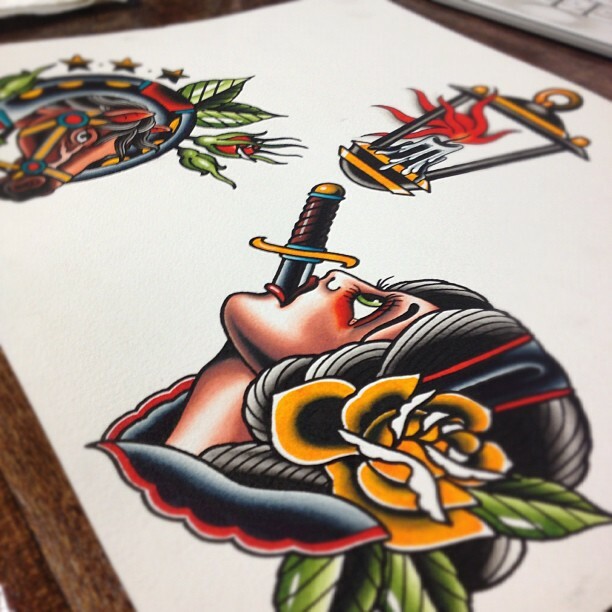 Rick can be reached via: ricktattoos@gmail.com for appointments. 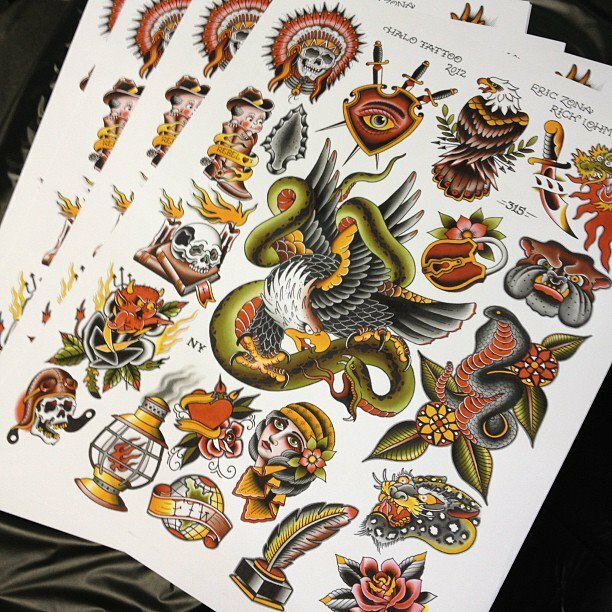 Rick Lohm just rolled these bad boys out at the Philly tattoo convention; 22″x28″ split Porkchop sheet with Eric Zona for the low low price of $80. Can’t get tattooed at the convention? You can still walk away with something awesome. Swing by the Lohm/Halo booth and say hi. 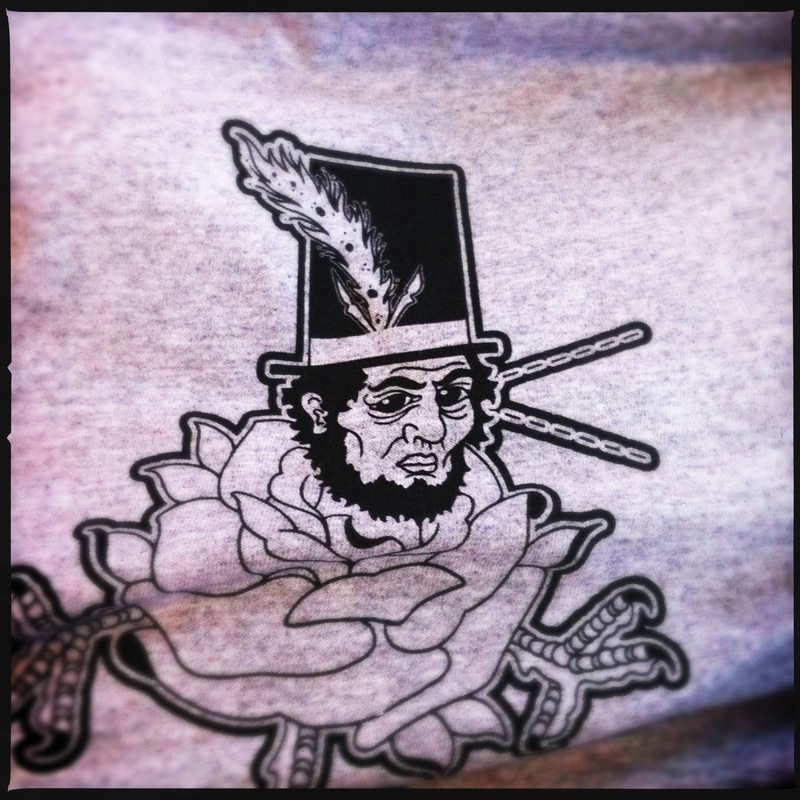 Just in time for Lincoln’s Birthday… Honest Abe shooting lasers of truth. 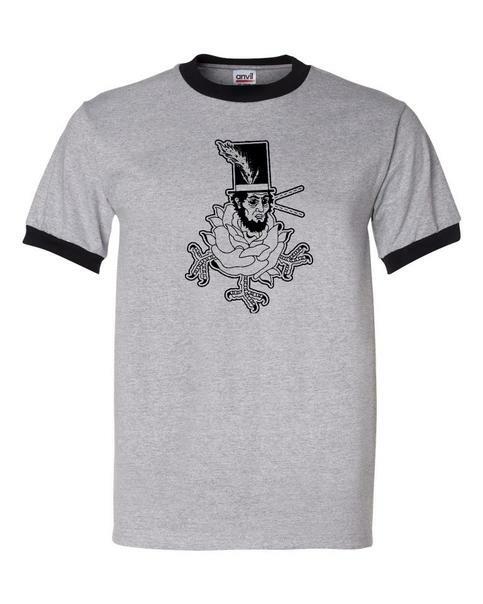 Featuring art by Rick Lohm from Halo in Syracuse on a grey and black ringer tshirt printed in Philadelphia by the awesome dudes at Awesome Dudes. Sizes Ladies Large through XL. You can contact him for appointments here: Sink or Swim. 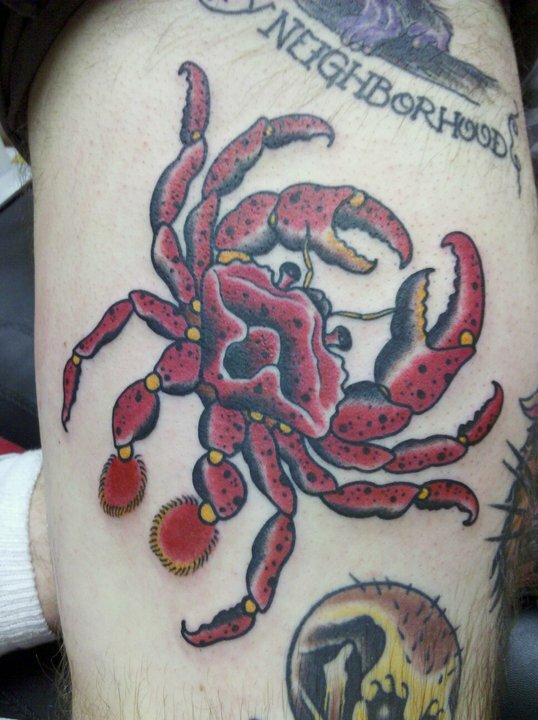 Tattooist and crustacean aficionado Rick Lohm will be tattooing at the Richmond Arts Festival November 18, 19 & 20th 2011 and still has some time available. You can contact him via Halo Tattoo Liverpool or at the Halo Booth at the convention. Rick is available for non-crustacean tattoos as well. 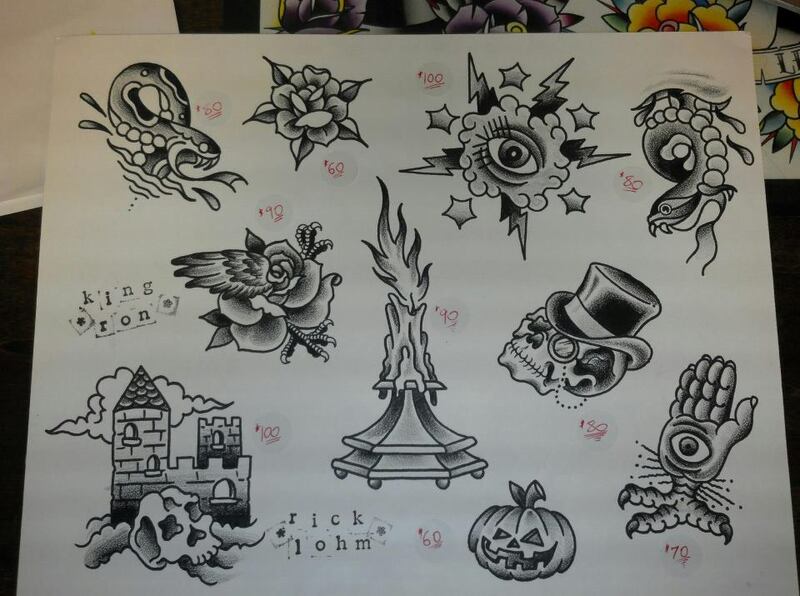 Halo Tattoos’ Rick Lohm and Ron Perry will be offering special tattoos every Monday during the month of October; $60-$100 color or black and grey. The sheet will change every Monday and walk-ins are definitely accepted. 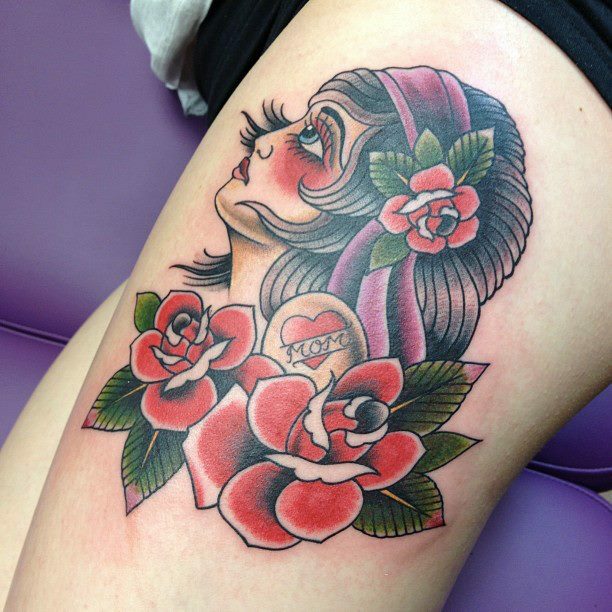 Halo Tattoo Liverpool is located at 7269 Oswego Road.